Experience intense brick-busting action with Strike Ball 3, the latest challenge in the popular Strike Ball series! 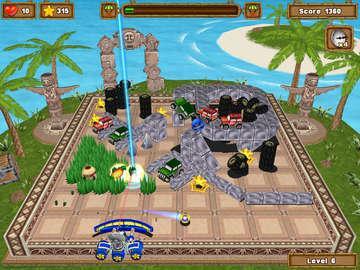 Use your ball and paddle to smash apart amazing 3D layouts and keep the ball in play in 100 levels of exciting fun. Each round is an intricately assembled scene that breaks apart with incredibly realistic physics. Collect stars to and upgrade your power-ups to be more explosive than ever, or make you power-downs nothing more than a nuisance. Featuring all-new bonuses, suburb level design, powerful new weapons, and more, Strike Ball 3 is a blast of family fun. Get in on the action of Strike Ball 3! 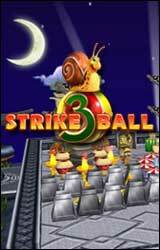 Strike Ball 3 Strike Ball 3 is the sequel that everyone who played it's predecessors was waiting for. 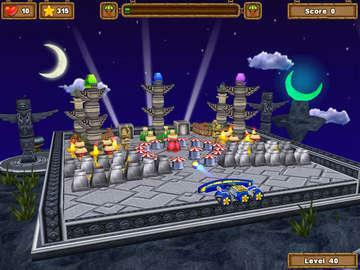 It has many new features that makes it more playable and fun. The most important novelty is NVIDIA PhysX engine which enables real-time physics. This gives the game more reality and gameplay gets more interesting since the objects are moving according to the real-time physics, something that many 3d games are missing. The scenes are 3D and the object of breaking are 3D so once you destroy the lowest layer of the object it's upper parts get scattered all over the place making the playground energetic and unpredictable. Beautiful scenes are surprising and something we haven't seen in this game genre like the giant robot, the car parking lot or a tower of which grounds you have to destroy in order to tear it all down. Items are very important in this game since in order to pass some levels you have to have more than just the standard ball. On each level there are collectable stars with which you can upgrade the items you have like more ammunition for the machine gun or more time for protective energy wall. New is also the ability to control the ball movement with magnetic field. If the ball is going the wrong direction you can still save the day by left clicking the mouse and draw it to the paddle. 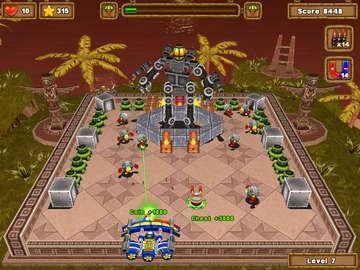 Among all the free arcade games there is none that could compete with 100 levels and new options that every one of them makes interesting and diverse. Strike Ball 3 is one among many free downloadable games that has plenty of improvements and new elements that gives this game more excitement and challenge.